Work for Oracle BigMachines Express CPQ Cloud? Learning about Oracle CPQ Express? "Accelerates Quotes and Reduces Costs"
Reduced time required for order entry and order review process, allowing sales to sell faster by guiding them to optimal product options and configurations, from simple to complex, for its measuring technology. The main issue most users have is that the text editors are very archaic. Considering how advanced the software is, you would think that Oracle would invest more in the editors. It would be nice if the text editors were like MS Word, allowing the users to copy/paste quickly, adjust the formatting, and use a tool that most are very familiar with. 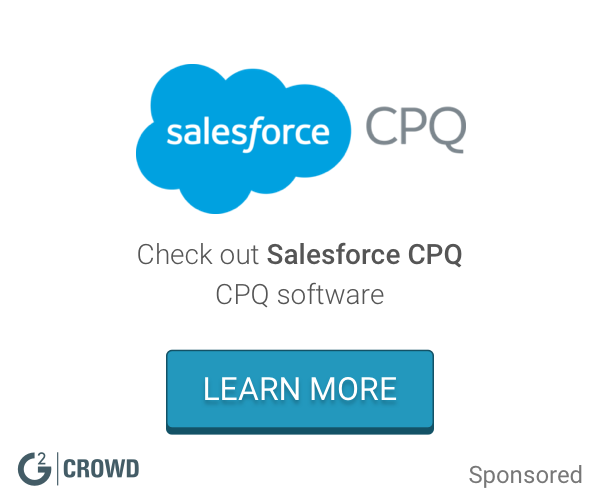 If your looking to standardize your quote-to-order process across your operations than CPQ Cloud is the right choice. We selected Oracle Configure, Price, and Quote Cloud (Oracle CPQ Cloud) to streamline and manage our entire quote-to-cash process—from inquiry to order fulfillment—and ultimately provide a superior customer experience. With Oracle Configure, Price, and Quote Cloud in place across our global operations, we have streamlined the entire quote-to-order process. The flexible and scalable cloud tool enables us to deliver a superior customer experience and supports our rapidly growing business for the long haul. I work at Stein Mart as a cashier, I started a month ago and after just 3 days I was able to use this system perfectly fine, it’s so easy to use and allows me to work fast and efficiently without mistakes. I don’t find anything wrong with it, the only thing I would recommend is to use better resolution for the system and a little brighter colors. I like that I can go directly into BMI from SF. Once you get the system down, it is fairly easy to enter opportunities, contact information of clients and track progress of the work. Its also easy to go back and see what you entered or someone else entered to review. i commonly get an error after something is saved that says "Sale Fail" which is extremely frustrating because sometimes entering an intricate opportunity with tons of detail takes an hour plus and we arent able to get anything back and have to re-enter everything when we get this error. I love how many options the software offers with extensive detail. It really provides a leg up on the competition during the sales process. This product is a must! The product is a few iterations away from being easy to use out of the box. There are a few improvements that can be made in the UX that would complement the incredible data utilization. To start with this is an excellent product but is a few iterations away. The benefits far out-weight the downsides of the product. The cloud is the future in technology and reduces costs substantially. Not sure if this is a BMI issue or a SF issue but i commonly get an error after something is saved that says "Sale Fail" which is extremely frustrating because sometimes entering an intricate opportunity with tons of detail takes an hour plus and we arent able to get anything back and have to re-enter everything when we get this error. Do not copy and paste anything into the content boxes where you need to type, in doing so, you will get a sale fail. We brought this up to SF and BMI but all they could suggest was not to do it vs fixing the problem. We are helping solve problems where multiple people and teams can go in and edit opportunities created in BMI which is great because it allows us to work closely as a team. It also provides us with email updates once something is sold through so the entire team is triggered. On top of that, once a sale in BMI is sold, it moves to EPIC (another software system we use) so our producers can see everything and start working more efficiently and quickly. "Difficult at first but better over time"
Training definitely needed to get going but its better as you get used to it. Great for collaboration with management for quotes/props. "Effectively efficiant when implemented "
When used as assigned it works great for “guiding” the sales process and aligning all the metrics needed for accurate tracking and reporting. Just need to make sure all sales divisions are onboard and fully understand the proc as and procedure. Accesible on any device and SO easy to use...this software comes HIGHLY recomended for any business looking to simplify their sells process. Just set to automate and forget it!! Theres absolutely nothing to dislike pertaining to Oracles merge with Big machines...Product is excellent and customer service is superb. Easy approvals, conversions, and order exucution. This product eliminates the need for multiple softwares doing different task. It is a all in one masterpiece! Just set your sells process to automate and watch it work like magic. "This cloud based system is a huge help to our company. " Sometimes it can be a little confusing for some of the new people here. I think they're doing a great job and they really make it easy for consumers and businesses to find what they are really looking for in a system like this. Orcale pulls reports that I cannot do myslef. It provides real time data to the work that I currently do. Sometimes it lags and freezes. However, a simple restart helps. Oracle allows me to look at real time adherence as well as time stamps. It pulls up real time chats in case assitance is needed. Incredibly easy to use, very user-friendly interface. Sometimes a bit difficult to log in information, but otherwise a very simple program to understand. High recommendation - very useful product in the work place. It has helped me organize my information in much easier methods. What I like best about Oracle is that it's a one stop shop place. You can have more tools for it, but for the most part, everything you need comes out of the box. What I dislike is that, from what i've heard it's pricey in comparison to the other tools out there. The business problems we are solving is a CRM based platform. We handle mainly sales out of this platform. "Very user friendly and easy "
I like the ability to customize the data views and the export to PDF and excel features. I dislike how at times uploading data to cloud is slow and space is limited. Look into the cloud solution. It is used to prioritize; our decision making during the hiring process is based on the data presented. "Big time help where you need it!" Having a cloud based system is a huge help for a mobile company! Love that I can use it anywhere I need to. I have little dislike for it at all. Does what I need. Only thing can be slow if connection is not great. If you have a need for something like this it is worth the investment. Able to stay mobile and not be tied to one spot to be productive. Help with meeting the needs of my clients and staying on top of all business aspects. The user interface is very simple to pick up as soon as someone sits down and walks you through it a few times you’ll look like you’ve been doing it forever. The constant updates the user in the company has been receiving for like the past 14 months; it has really improved a lot of things a user endures while using the software. Some moments when there can be random freezing while dealing with software lately. While using this product on a weekly basis, it has really been as easier process in the last 14 months dealing with the usage of how it’s affected while using at work. Ability to quote products and track all past and current bids for quote. Reporting was difficult to pull. There could be improvements made to this. "Simple and easy to use "
How easy it is to use and how it is very iPad friendly. When submitting an expense report there are a lot of steps when I think it could be simpler. Submitting expense reports. Benefits are that everything is in one spot. The layout was user-friendly and allowed me to complete tasks efficiently and document tasks well. Copy and pasting directly from excel is a huge help. I see more of the opportunities for sales since the software does a lot of the processing for me and in an easy to view format. BigMachine allowed our purchasing team to quickly input formulas for quoting purposes and helped streamline our processes. When there was a mistake in the formulas, it was a long process to locate the issue and find the right person to fix it. This may have just been an internal issue, but it caused a lot of delays for our team. Using rate card pricing for quoting needs on a day to day basis. Easy access to big data to help me run key analysis reports. Love that I can push to many other teams as well. Sometimes can pull anomalies that make reporting inaccurate, but can fix with ease after touching base with technical counterpart. Provides major lift in helping me find success by staying organized, using key analysis reports, and finding new opportunities to work. It’s my 2nd favorite software for sales and it’s easy to get the hang of using it. The benefits to me would be the tabs. The tabs make it easier to navigate from one page to another unlike other programs that make you reopen the program to get another tab up. The ease of use for finding prospective clients in a well organized way. Using this software. The applications can be improved with updates otherwise that’s the only issue. "One of the best tools "
Sometimes loading time might take a little longer than expected. Otherwise, I had only a positive experience so far. I like that once you get the hang of it, everything is simplified. The system appears out of date.sometimes it crashes and it takes a while to learn because there are a lot of resources. It is good for accounting and displays totals easily and visably. User friendliness and personalization ..
"It's so easy and simple to use.It gives you a lot of options when using it that best fits your needs"
It takes no time time to load and easy to access. Sometimes it kicks you out and you have to reload. It's open to where you don't have to use many programs cause it has everything you need. It useful when your using a softphone and your able to also use it inbound and out bound. Its a little complicated for some of my coworkers to figure out, but still pretty good! "Sales Oracle Big Machine Express"
Oracle Big Machine is one of thge best compipetors because they offer essentials tools to expand growth and sales analysis. The easy to use the platform and all the different functions it has. So far nothing but give me time. I haven't found anything that I dislike about it so it is hard for me to put something here. It has allowed us to hit our goals and it has made my life easier. The flexibility, scalablity, usability of the product. "Oracle is for your business"
The ease of access is unmatched. 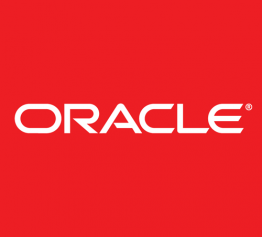 From login to finishing your task Oracle is exactly what a company needs. I have yet to find something that I dislike about Oracle. It blankets the entire company’s needs. There is not a need for multiple products. I have been using this application for an year now with Stryker Corporation. It's smooth integration with SFDC has made the job easy. It has provided new outlook for product configuration. "Oracle BigMachines Express CPQ Cloud"
I like the fact that I am able to set pricing easily. It was a little difficult to navigate in the beginning, but became easy after getting used to it. I don't have to spend as much time calculating profit margins, since the software does it for me. The ability to customize the data views, export to PDF and excel features are very helpful! I can't think of anything that I dislike. Very accurate for sales orders and tracking. Allows me to meet the needs of my clients by being proficient. "How I love oracle "
"Product works, but has it's flaws and quirks." I've used Oracle for almost 6 years now and have gotten it down pretty well, but it's hard to teach/train. Sections can be clunky and cumbersome and there's a steep learning curve. Staffing, hiring, onboarding. It's a useful tool overall. There are a lot of functions. Always available in cloud. With all the functions, this can create confusion and difficulty. Ensuring that we have accurate configurations. I have seen an increase in “accuracy. It catalogs everything and sets the prices. It is vety well organized. Can be a little slow at times but thats about it. Love how easy it is to use. Took me a long time to find. Wish it had more options for the expensive price. I like that there are shortcuts for apps. I don’t like the format and set up. It could be easy to navigate. It pushes contracts where we need them to go. The fact that it is behind the scenes and don't know exactly how it works. Learning about Oracle BigMachines Express CPQ Cloud? * We monitor all Oracle BigMachines Express CPQ Cloud reviews to prevent fraudulent reviews and keep review quality high. We do not post reviews by company employees or direct competitors. Validated reviews require the user to submit a screenshot of the product containing their user ID, in order to verify a user is an actual user of the product. Hi there! Are you looking to implement a solution like Oracle CPQ Express?